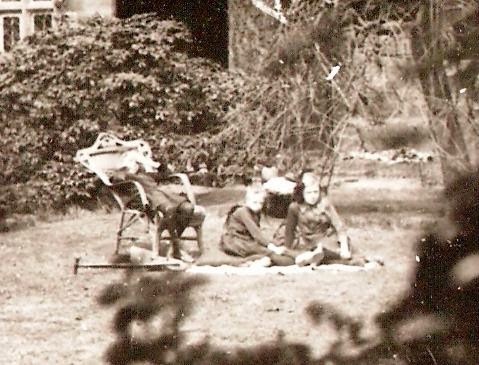 I doubt I will ever fully know who these three young people are who stare back at me from the garden of Hough End Hall. Nor will I be able to accurately date the moment the picture was taken. 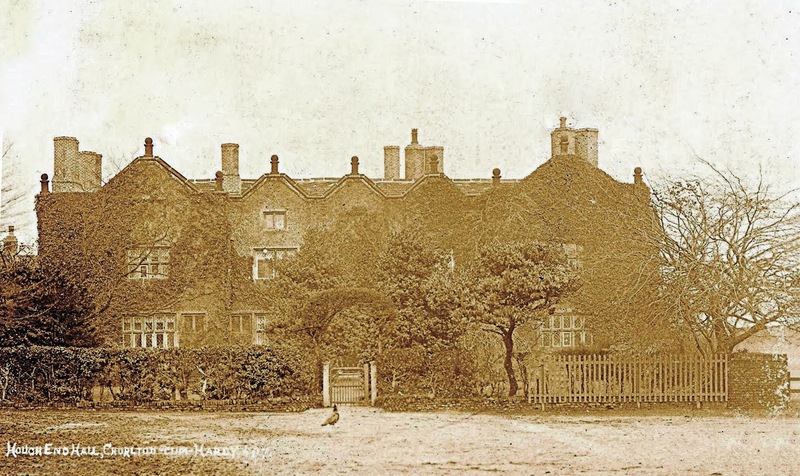 But one of the girls will be the daughter of Samuel and Sarah Ellen Lomax who took on the tenancy of Hough End Hall sometime in 1895. 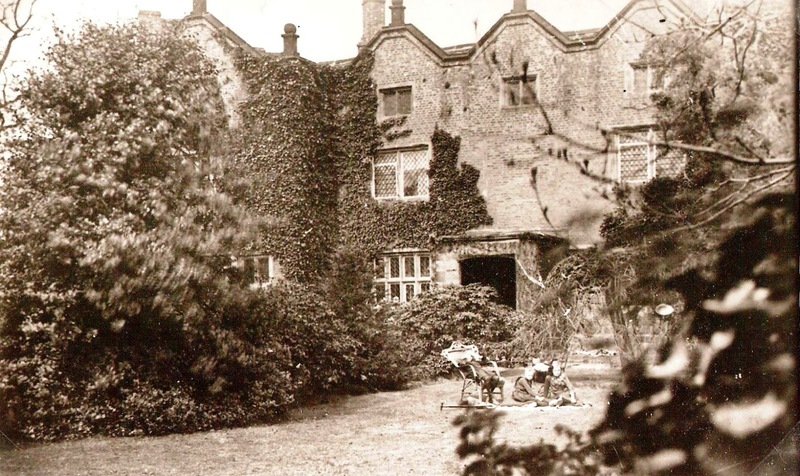 The Lomax family had lived in the Hall from 1849 when they had taken over both hall and the farm on the death of Henry Jackson and Samuel had moved in on the death of his uncle in 1895. So that begins to provide a possible date because Mr and Mrs Lomax had four children. These were John born in 1888, Ethel Mary in 1891, Constance Amy in 1899, and Eveline in 1910. None of our three look to be much older than twelve and possibly younger which would place them in the garden sometime at the beginning of the last century. Of course it is impossible to know which of the three was Ethel Mary, or if one of them was actually her sister Constance Amy. It had been the family home of the Mosley’s till the mid 18th century when it was sold to the Egerton’s who in turn rented it out to tenant farmers. In the 1840s it was occupied by Henry Jackson who farmed 220 acres beyond the eastern boundary of the township. This made it one of the largest farms in the area, and Jackson employed 13 labourers, nine of whom lived in the hall. Nor did the ivy or its more functional purpose as a farm obscure its classic Elizabethan design. It was best reached along the tree lined lane from the Barlow Moor Lane. The traveller would have a clear view of the hall from some distance away but just as they reached the last few yards the full majesty would be revealed. A low stone wall either side of the gate gave way to a large open area beyond which partly hidden by hedges and trees stood the main building. Someone, perhaps even Henry Jackson himself had grown the hedge into an arch above the gate. 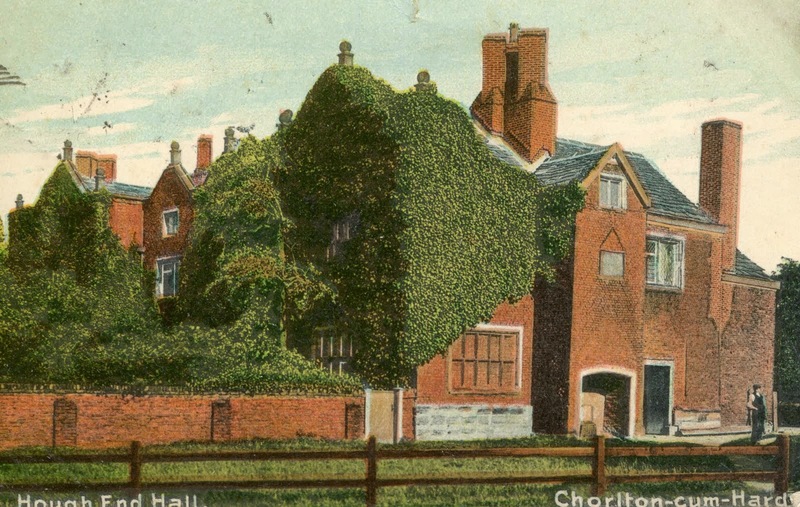 Hough End Hall is strictly not in the township and yet every historian of Chorlton from John Booker in 1853 has included it in their accounts. Nor could we escape its presence back in 1847. Walking from Park Brow down Nell Lane and standing on the low bridge over the Brook, the Hall would be clearly visible. Not that this would have been the most impressive of views. This northern side was partly hidden by farm buildings at the back and side. And I guess to see it at its best was to stand directly infront of the place. 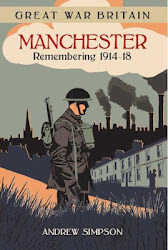 So there is lots more here to explore, including more on Henry Jackson and the Lomas family and as they say wait and watch this space. I love reading your pieces. I only moved to Chorlton a couple of years ago and am discovering it through the things you post. Thank you.